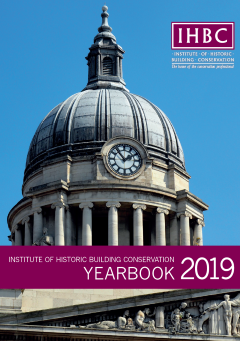 Context is the journal of the Institute of Historic Building Conservation which represents professionals working in the historic built environment in the UK. It is published five times a year and is distributed to Institute members and to a range of other subscribers. 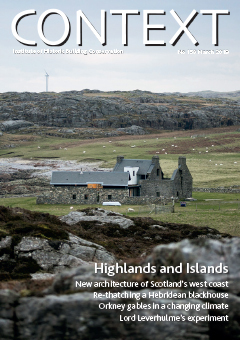 Context informs readers about developments in professional practice and the management of the historic environment and provides a forum for discussing issues of professional concern. Context is edited by Rob Cowan. All enquiries should be directed to: editor@ihbc.org.uk Context is published five times a year. The IHBC is a registered charity and exists to promote our charitable objectives. Context is sent to individuals who are not members of the IHBC only when they subscribe to the charity. Subscriber rates are the same as membership rates, and benefits include, as well as Context, the IHBC's annual review, the IHBC Yearbook. Subscribers are strongly encouraged to sign up to Gift Aid to support the IHBC's charitable activities. No concessionary rates are available to subscribers. To join as a subscriber please contact admin@ihbc.org.uk. Context is made available to corporate bodies (libraries; educational bodies etc) at a corporate subscription rate, including postage of: United Kingdom £60; Elsewhere £90. The articles from Context are published on a searchable on-line archive six months after publication. To visit the archive click here.